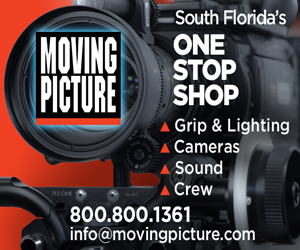 Offering the latest in hd video assist technology for film, television, commercial and music video productions. QtakeHD Multi-cam Video Assist packages, variable speed playback, green screen keying and composite overlay, wireless video, Mobile carts, professional monitors for Agency and Director. Feature Film, Commercial & TV / Streaming Video Assist Operator. Member of I.A.T.S.E. Local 695 L.A., CA. & Local 479 Atlanta, GA.
Providing professional video services for weddings, training videos, real estate video tours - whatever your needs, my twenty years of experience will assist you in producing the product you want, and need. KellyGirl Video is the leading Nashville Video Production company that specializes in professional, affordable, video production for corporations. KellyGirl Video can assist with the writing, production and editing of web videos, TV commercials, event capture, and videos intended for internal use. Valmara Sports & Video Productions specializes in sports and event videography. We provide video services for sporting events, weddings, family reunions, birthday parties, and graduations. I also freelance as a videographer for College and Pro Sports broadcast productions. Full service video business that includes:legal depositions, courtroom playback, day in the life, video format conversion, weddings, funeral services, on-site manufacturing equipment operations, YouTube videos and more.